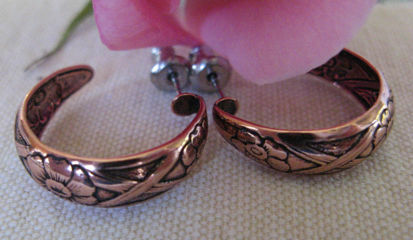 * Solid copper earrings. Very light weight. * 5/8 of an inch in diameter.